With rapid and gradual hair loss affecting men and women around the world, Dr. Mark Pinsky offers a revolutionary and effective solution with lasting results. 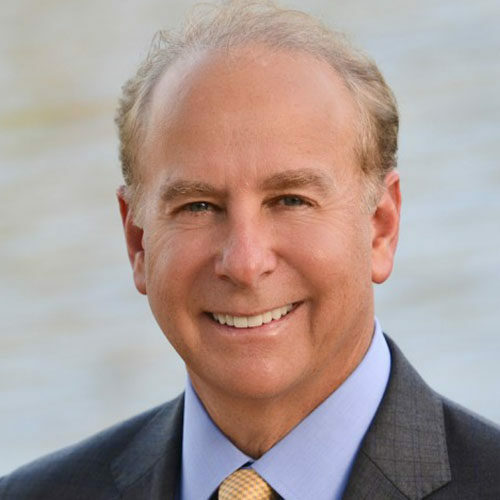 Offering NeoGraft hair restoration treatments in his Florida office, Mark Pinsky improves hair loss and thinning for patients across the Palm Beach area and beyond with minimal impact to their daily health. Hair loss affects around two-thirds of men by the time they reach the age of 351. Past 50, almost every man will face significant hair thinning or receding. Many women also face hair thinning as they mature, not to mention the possibility of alopecia that is prevalent in both men and women. To keep up their hair with age, and to improve their overall self-worth and confidence, many patients turn to hair-replacement therapy such as oral prescriptions, laser therapy, and hair transplants. Patients rightfully have their reservations on which to invest on, however, with the combination of NeoGraft technology and the skilled eye for natural hair patterns from Dr. Mark Pinsky, you can trust that NeoGraft will yield amazing results. Older hair restoration options, while helping to thicken hair with natural, long-lasting results, may involve removing large strips of hair and may leave undesired scars. Not to mention that traditional hair transplants are reaching a minimal 60 percent average success rate and may be very painful. Past hair restorations options also require general anesthesia that may involve a larger cost. NeoGraft offers a state-of-the-art automated hair transplant system that simplifies and greatly improves the success of follicle extraction and transplantation processes with an outstanding success rate of 95 to 98 percent. Through NeoGraft, patients don’t have to suffer a linear scar and after only one session, patients can return to their daily routine with minimal restrictions. The procedure relies on Automated Follicular Unit Extraction (FUE), which transplants twice as many hair grafts as manual FUE. The procedure is performed by transplant specialists who assist Dr. Pinsky to achieve optimal efficiency and a natural appearance under a comfortable local anesthetic. Dr. Mark Pinsky has earned an international reputation for his outstanding work in both surgical and non-surgical procedures. Graduating from the University of Texas Health and Sciences of Houston, Dr. Pinsky has since made a name for himself in the medical field and acquired certifications from highly accredited sources like the American Board of Plastic Surgery to further his career. He’s earned distinctions such as the top 500 status with Allergan Medical and a Presidential Champion status with Galderma. He’s also the creator of skIN3 with DermaTriPlex – a globally patented skincare product line. The news site hosting this press release is not associated with Dr. Mark Pinsky. It is merely re-publishing a press release announcement submitted by a company, without any stated or implied endorsement of the product or service.